Appy Kids Co drinks review! Elsa is a piggy when it comes to juices and squashes. So when Appy Kids Co emailed me and asked if Elsa would like to test out some of their delicious children’s drinks, I had to say yes! We were so excited to receive our box of goodies! When the box got delivered Elsa was so excited to see all the brilliant characters on the juice pouches. Before we had even tasted them Elsa was sold, she loved them. 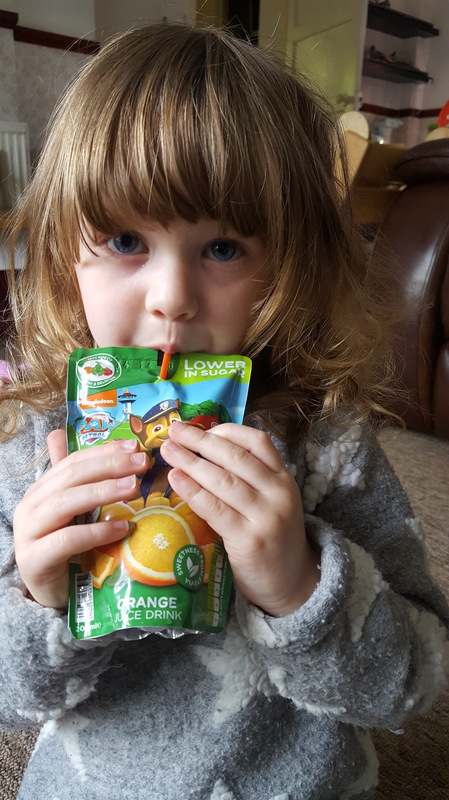 The range of flavours is good as well, we were sent Paw Patrol Orange, Paw Patrol Apple, Ninja Turtle Multi Fruit and Dora the Explorer Mixed Berries. As Elsa drinks a lot of juice we are always looking for healthier alternatives. I think Appy Kids might just be the solution. Their juices are made with low amounts of sugar and low calories meaning they are a healthier choice for children. They use only wholesome ethically sourced ingredients and there packaging is made from recyclable materials. At Appy Kids they also replant trees to make sure they are doing everything they possibly can to help the environment at the same time as making the perfect drinks and snacks for both children and their families. Appy Kids Co have a mission to be the number 1 healthy choice for families. We have to say they have defiantly done that for us and we are very impressed with the variety of flavours they have. Would we recommend Appy Kids Co to other parents? YES! We would, without a doubt! You can buy Appy Kids Co from Tesco, Poundland, Spar and Whole Foods as well as Ocado online. Previous A day out at the NFL!